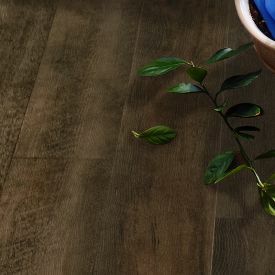 Emitting luxury and warmth in every plank, Smoked Saffron is a floor that not only looks great but will stand up to decades of wear and tear. 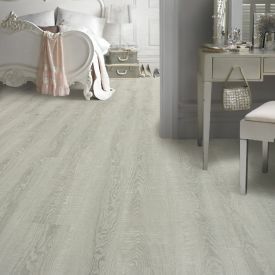 The registered embossed effect creates a distinctive grain that adds value to any interior. 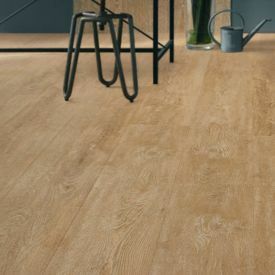 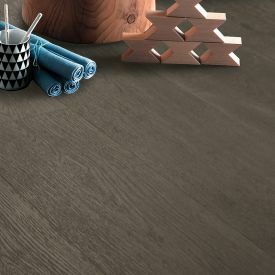 The Gurber vinyl tile is 5mm thick, clicks together like a laminate, it is installed as a floating flor therefore requires minimum subfloor preparation unlike normal vinyl floor and also offers more durable yet realistic surface than any laminate flooring. 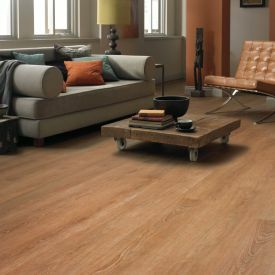 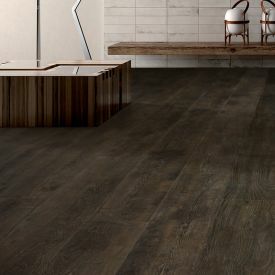 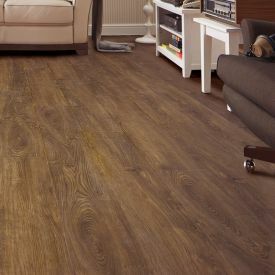 It is also softer underfoot and sounds better than the clickety clack sound that most laminates make when you walk on them. 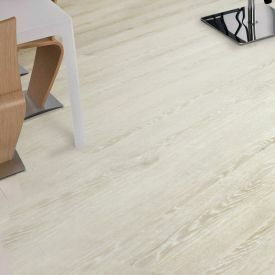 Made from PVC it is also 100% waterproof.